The LTSU Awards aim to recognise individuals and student groups for their contribution to student life and learning excellence within the La Trobe University community. Students can nominate themselves or their own club / society, or other individuals / groups. 2019 Awards are now closed for nominations. Nominees will be invited to celebrate their nomination at the LTSU Gala Awards Night on Thursday 11 October 2018. This Award will be granted to a student who has displayed exceptional leadership and significant contribution to student life, services, and activities at La Trobe over the past year. Particular contributions to activities carried out by the LTSU, affiliated clubs & societies, student council, and other committees will be noted. The winner will have exhibited moral force of character, leadership and a genuine interest in promoting the learning experience and welfare of fellow students. Contributions to the wider community will also be taken into account. Submissions should demonstrate significant activity in the last 12 months, but may also draw on previous relevant activity. Success in sports shall not be considered by the panel. Be able or willing to attend the LTSU Awards night to receive their award. (Transport costs and accommodation can be provided by the LTSU, if requested by regional students). Provide proof of current enrollment at La Trobe University. Claim the award, as per the LTSU's instructions, within 12 months of winning. This Award will be granted to a current international student who has displayed exceptional leadership and greatly contributed to student life, services, and activities at La Trobe. Particular contributions to activities carried out by the LTSU, affiliated clubs & societies, student council, and other committees will be noted. The winner will have exhibited moral force of character, leadership and a genuine interest in promoting the learning experience and welfare of fellow students. Contributions to the wider community will also be taken into account. Submissions should demonstrate significant activity in the last 12 months, but may also draw on previous relevant activity. Success in sports shall not be considered by the panel. Be currently enrolled as a La Trobe University INTERNATIONAL student (Bundoora, Mildura or Shepparton campuses only) at time of application. Be a current La Trobe Student Union or Shepparton Student Assoc. member. Not be a current elected Office Bearer for LTSU, MSA, ISA or SSA. not be currently studying with La Trobe Melbourne(Diploma/Navitas). Provide proof of current enrolment. This Award will be granted to a current La Trobe University Postgraduate student who has displayed exceptional leadership and greatly contributed to Postgraduate student life and activities at La Trobe. Particular contributions to activities carried out by the LTSU, affiliated clubs & societies, student council, and other committees will be noted. The winner will have exhibited moral force of character, leadership and a genuine interest in promoting the learning experience and welfare of fellow students. Contributions to the wider Melbourne and academic community will also be taken into account. Submissions should demonstrate significant activity in the last 12 months, but may also draw on previous relevant activity. Success in sports shall not be considered by the panel. be a current La Trobe Postgraduate (HDR or coursework) student enrolled at La Trobe University Melbourne, Mildura or Shepparton campuses at the time of application. Should be able or willing to attend the LTSU Awards night to receive their award. (Transport costs and accommodation can be provided by the LTSU, if requested by regional students). This award will be granted to a regional student (enrolled at Shepparton or Mildura campuses only) who has shown an exceptional level of commitment to student life at La Trobe and the university community. Contributions to the wider community will also be taken into account. Submissions should demonstrate significant activity in the last 12 months, but may also draw on relevant activity occurring before that period. .
Be a current La Trobe student enrolled at La Trobe University Mildura or Shepparton campuses. Be able to attend the Awards Ceremony at La Trobe Bundoora campus on Thursday 11th Oct 2016 (LTSU will provide funded transportation and accommodation if required). This award recognises an outstanding club for its contribution to its members’ university experience, the broader student experience at La Trobe University, and its continued engagement with students. Judging for the club Award will only consider initiatives and activities that have occurred in the last 12 months and will not consider sports clubs. Be currently affiliated with the LTSU. Be affiliated to the LTSU at the time of claiming the award. Spend the award on capital equipment or official club activities. The Faculty Society of the Year Award recognises an outstanding academic/discipline-based society for its contribution to its members’ university experience both socially and within an academic setting, the broader student experience at La Trobe University, and its continued engagement with students. Judging for the Faculty Society Award will only consider initiatives occurring in the last 12 months. Have at least one executive member able to attend the LTSU Awards Ceremony at La Trobe Bundoora campus on 11th October 2018. The LTSU Clubs & Societies Best Event Award recognises a club or faculty societies’ successful provision of an engaging, safe, inclusive and innovative event for La Trobe students. The event/initiative being nominated must have occurred in the last 12 months (ie from September 2017 – end of August 2018). Have at least one member able to attend the LTSU Awards Ceremony at La Trobe Bundoora campus on the 12th of October 2017. Claim their award within a 12 month period, as per LTSU instructions. Spend the award on capital equipment or an event for the club or faculty society. Events must be advertised on the LTSU website and meet other regular event grant requirements. Provide executive committee meeting minutes outlining what the club will spend the money on to the LTSU Clubs Officer before the grant will be paid into the club account. The Award shall be offered to a La Trobe student who has made a valuable contribution to the program of events presented by La Trobe Student Theatre and Film or who has demonstrated an active interest in the activities of Student Theatre and Film and in the broader La Trobe student community. The award will support the student's participation in a theatre, performance or film related workshop/s, conference or festival. The award application should nominate the workshop they will attend, noting that it must take place within the next year and may be in any location. Submissions should demonstrate significant activity in the last 12 months, but may also draw on relevant activity occurring before that period. Be a current La Trobe student enrolled at La Trobe University (Bundoora, City, Mildura or Shepparton campuses). Be able to attend the Awards Ceremony at La Trobe Bundoora campus on Thursday 11th Oct 2018 (LTSU will provide funded transportation and accommodation if required). This Grant will be given in order to enable a student to devote time over the summer break to write a full length play. The grant shall be offered to a student of La Trobe University who has demonstrated an active interest in the art of script writing, creative writing and/or theatre development. Nominations should demonstrate significant activity in the last 12 months, but may also draw on relevant activity occurring before that period. The award will be paid in two instalments of $500 each – one prior to commencing the writing period and the second upon receipt of the completed script. The nominated student will be required to submit an outline of the proposed work, examples of previous writing and a curriculum vitae demonstrating their experience in theatre productions at the time of nomination. Proposals that demonstrate originality and an understanding of the practical requirements of the production of theatre within the constraints of the Student Theatre and Film program will be favoured. The successful student would be obliged to offer Student Theatre and Film the first option on the production of the play. Be a current La Trobe University student enrolled at Melbourne, Shepparton or Mildura campuses. Not be a current Office Bearer for LTSU, the SSA or MSA or ISA. Be willing and able to commit to the time required to produce a good quality full length script over the summer break (November – February). Provide a full length theatre script to Student Theatre & Film within the agreed time frame or payment of the final installment of the award may be withheld. 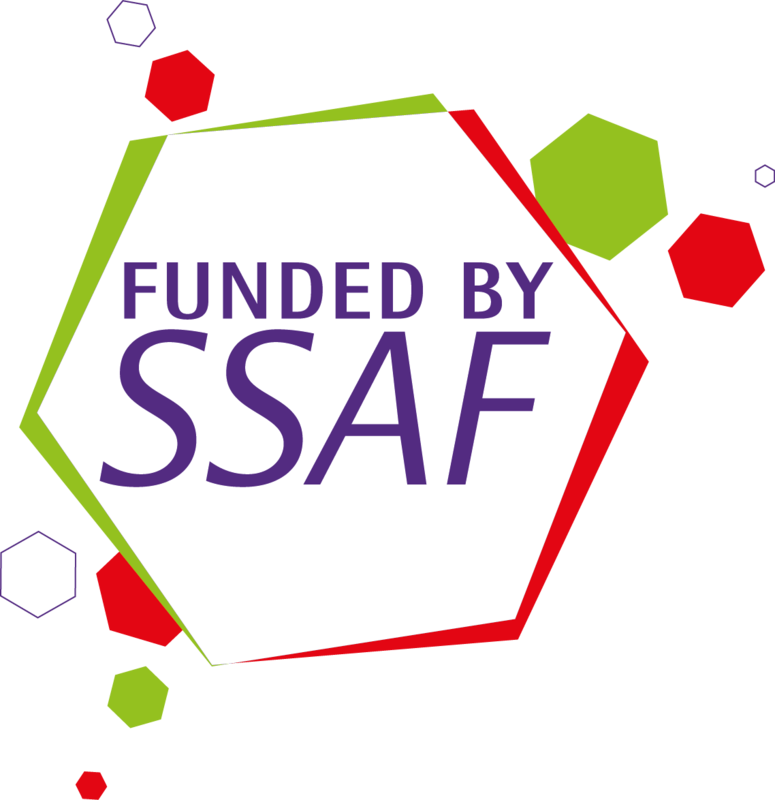 Complete payment of the grant within 12 months. Be a current academic staff member (including sessional tutors) at La Trobe University. Be able or willing to attend the Awards Ceremony at La Trobe Bundoora campus. The Research Supervisor Award aims to recognise an individual academic or team of academics who have shown exceptional dedication to the student learning experience for research students in the role of supervisor/s. Nominations are judged by a selection panel which includes GRS representatives. Be a current academic staff at La Trobe University (including regional campuses) currently responsible for supervising research student/s (individual or as a team). Be willing or able to attend the Awards Ceremony at La Trobe Bundoora campus.